It all kicks off tonight with the first preseason game of the season against the Detroit Pistons at 7:00 p.m. at Chesapeake Energy Arena. 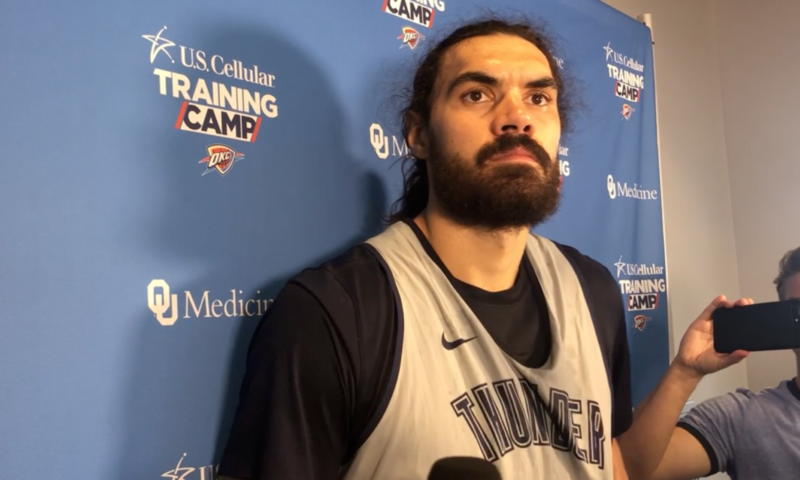 The Thunder had a gameday shootaround this morning giving Thunder Center Steven Adams a chance to take questions from the media before the team wrapped up the morning to prepare for tonight. Russell Westbrook, Andre Roberson, Alex Abrines and Richard Solomon are out for tonight with injuries and to continue the healing process. Abdel Nader remains questionable with knee soreness, and his status will be unknown until Billy Donovan’s media availability prior to tonight’s tip. Nader did minimal practice today, but Donovan will give the final say tonight. Nerlens Noel is good to go for tonight after being on watch for a foot sprain. Watch below for Madysson Morris’ wrap-up of this morning’s media availability and for the full Steven Adams presser. Graduated from Oklahoma State University; Have been covering college sports and the Oklahoma City Thunder for two years as a reporter and a videographer for 107.7 The Franchise.